Denny Hamlin finished 29th in Sunday’s rain-shortened NASCAR Sprint Cup Series race at Pocono (Pa.) Raceway, getting collected in an incident on a restart shortly before the skies opened up on the 2.5-mile track. Hamlin started second in the #11 FedEx Ground Toyota and quickly took the lead from polesitter Juan Pablo Montoya on Lap 8, pacing the field for the next three circuits. However, the handling of the car wasn’t to Hamlin’s liking, and he worked with crew chief Darian Grubb on a variety of changes to try to tighten up the machine. Differing pit strategies and long green-flag runs kept Hamlin just outside the top-10 for much of the afternoon, as teams prepared for the incoming weather. Following the race’s second caution period just past the scheduled halfway distance, Hamlin restarted on the outside. The lead group spun high and came back down the track directly in the path of Hamlin, who had nowhere to go. The contact caused extensive damage to the #11 machine, ending its day early in 29th. Rain came shortly thereafter, and leader Jeff Gordon was awarded the victory. The finish dropped Hamlin three spots to eighth in the NASCAR standings following Pocono, 61 points behind leader Dale Earnhardt Jr. after 21 of 26 regular season races. The Sprint Cup Series shifts to upstate New York for the season’s second and final road course event, Sunday at Watkins Glen International. Hamlin is making his seventh-career Cup start at the 2.45-mile, 11-turn circuit, looking to avenge a crash one year ago that led to a 36th-place finish. Hamlin finished in the top-10 in his first four trips to The Glen, including a career-best runner-up result in 2007. He finished eighth in 2008 and owns a pair of 10th-place finishes — in 2006 and 2009. In six events, the FedEx team has started worse than 14th only once, including an outside pole run in 2007 and third-place starting position in 2009. The Croydon, Pa., service center manages more than 500 daily LTL (less-than-truckload) shipments for the greater Philadelphia area. The facility opened in November 1994 and has more than 50 employees. Working together, team members have set center records by increasing productivity and providing excellent customer service, and the center will be recognized with its “EPH” code letters on the b-post of the #11 FedEx Freight Toyota this weekend. What are you expecting to see at Watkins Glen this weekend? 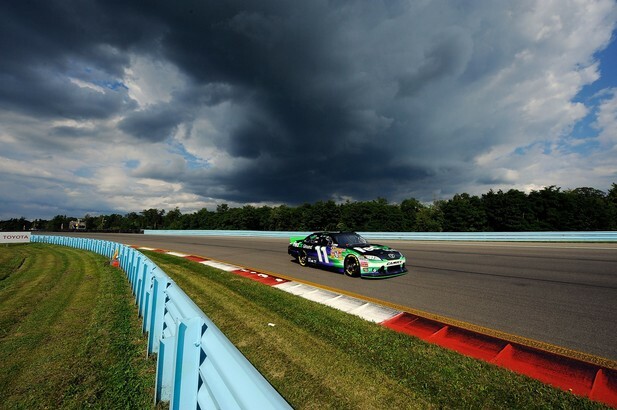 What are the keys to success at Watkins Glen?